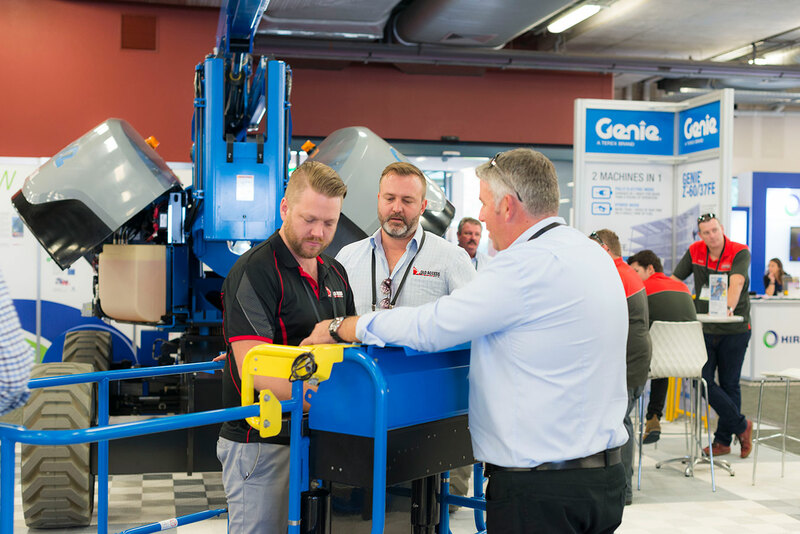 Celebrating the launch of the mighty Genie® SX-135 XC™ boom lift, more than 200 Genie customers danced to one of Australia’s favourite rock bands at this year’s annual Genie Customer Appreciation Night held in early May. 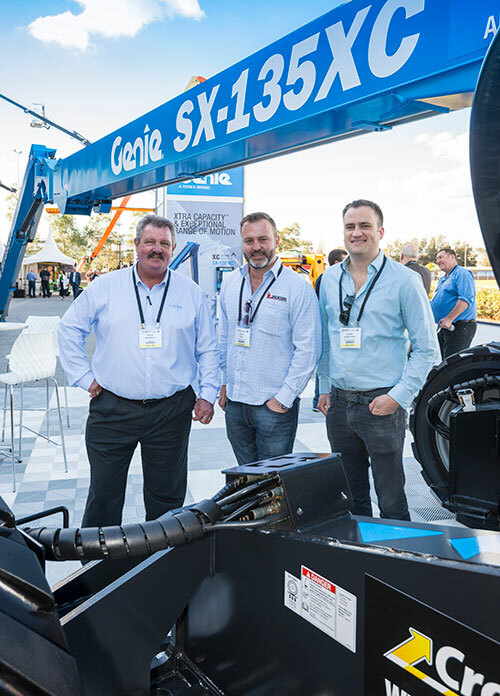 The event was hosted by Jim Barr, Vice President and General Manager, Asia Pacific – Terex AWP and Mitch Ely, Genie National Operations Manager, Terex AWP. 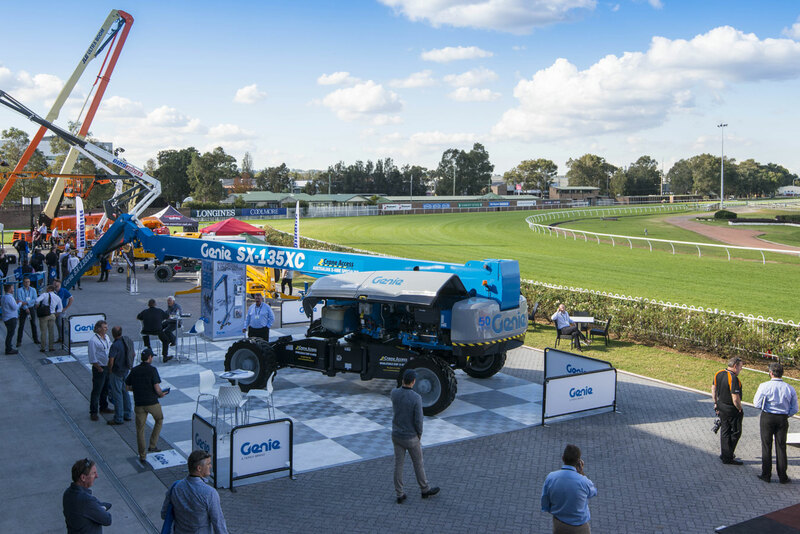 It once again ran in parallel with HIRE17, the HRIA’s annual convention, held this year at Rosehill Racecourse, in Sydney’s west. 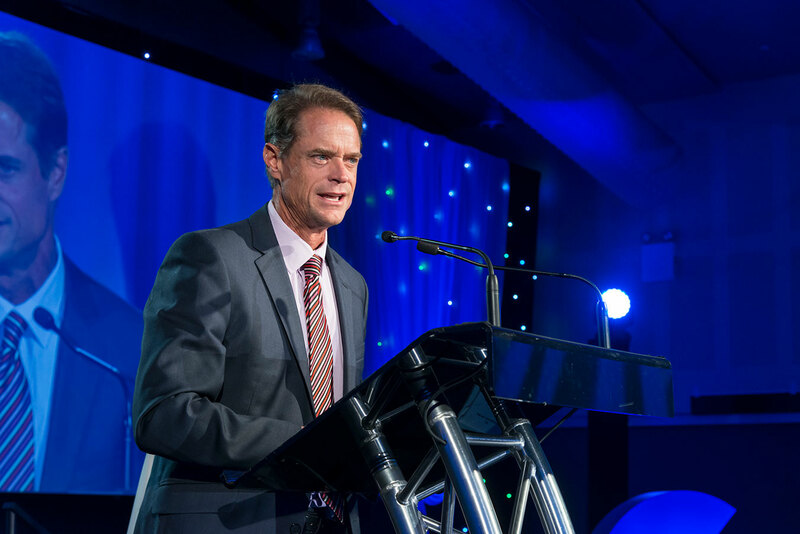 The appreciation night was held at inner Sydney’s Red Box theatre space, and guests were treated to an extensive menu of culinary delights and silver service. Australian music icon Suze DeMarchi and the Baby Animals literally blew the roof off the cavernous venue. The famous group’s major hits ‘One Word’, ‘Painless’, ‘Rush You’ and ‘Early Warning’ proved extremely popular with guests, who rocked the night away. 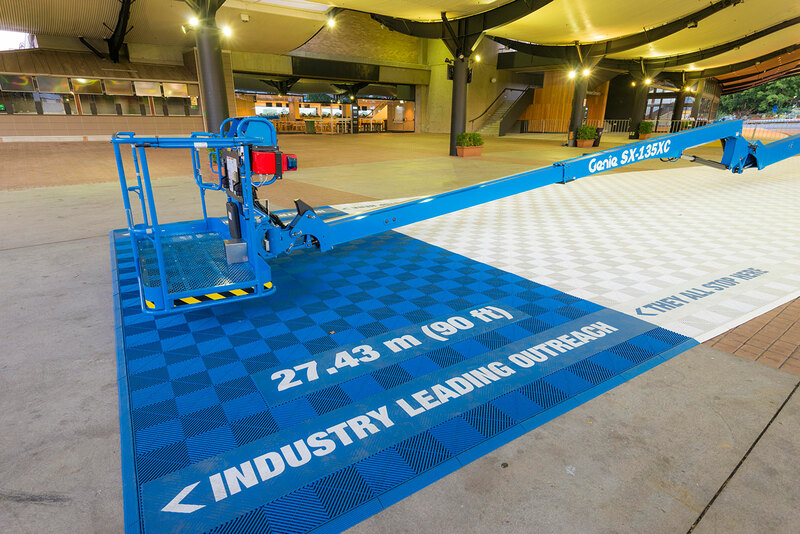 As part of the event’s entertainment, the experimental Black Light theatre group produced an artistic performance with the new SX-135 XC boom lift as its centrepiece. The mighty boom was skillfully maneuvered into the purpose built 20 x 24 metre Red Box space. 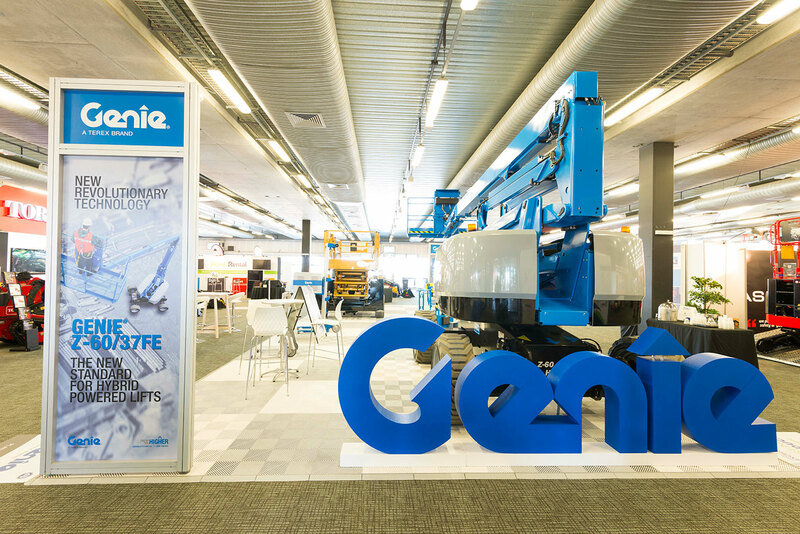 At HIRE17, Genie presented two new products, the Genie SX-135 XC and the Genie Z™-60/37FE boom lifts, as well as the Genie Lift Guard Contact Alarm, Genie 360 Support, Fleet Replacement Solutions and Genie Genuine Parts. 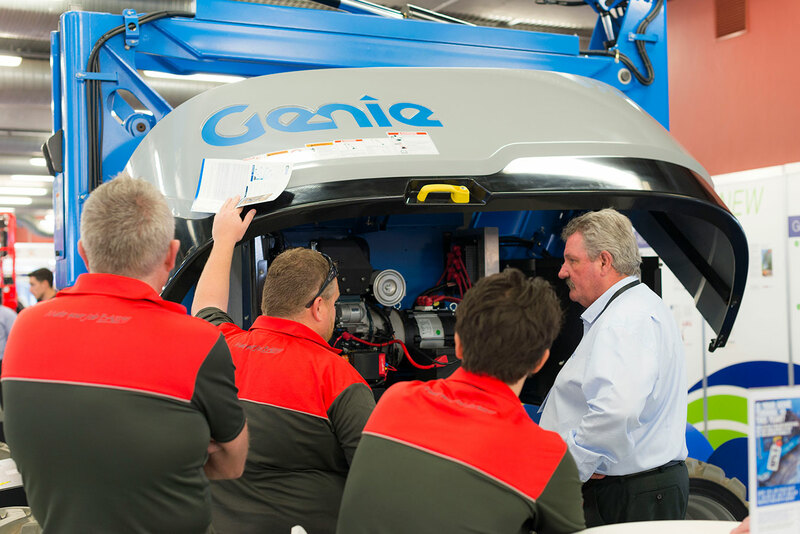 “The Genie SX-135 XC and the Genie Z-60/37FE will help our customers achieve what innovation can deliver,” said Ely, who conducted a toolbox talk at HIRE17 promoting the new hybrid technology developed for the Genie Z-60/37FE. 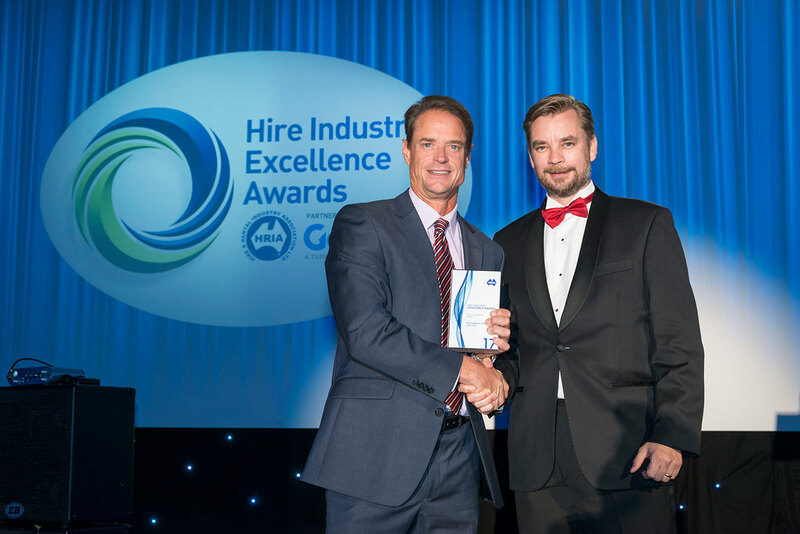 Clearly, HRIA agreed, awarding the Genie Z-60/37FE with its prestigious Best New Product – Access award at its Gala Awards Dinner. 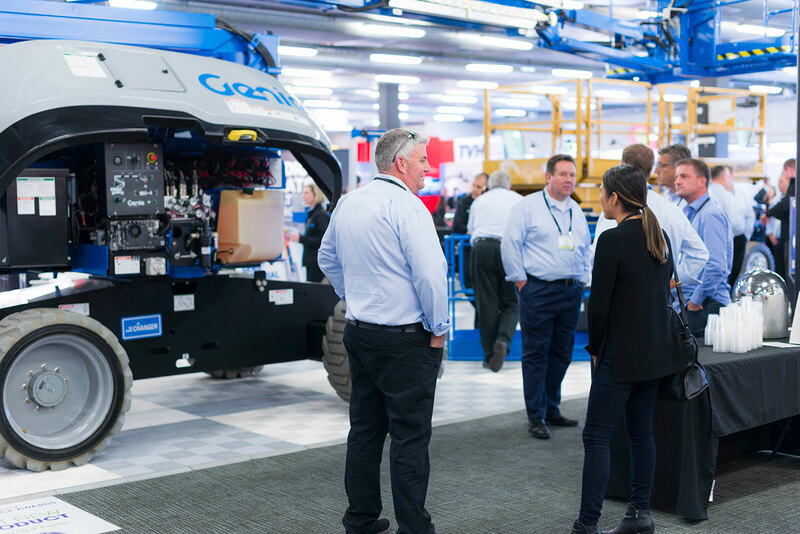 The new hybrid boom offers operators two machines in one package for indoor and outdoor applications, while providing lower cost of operation and cleaner performance. 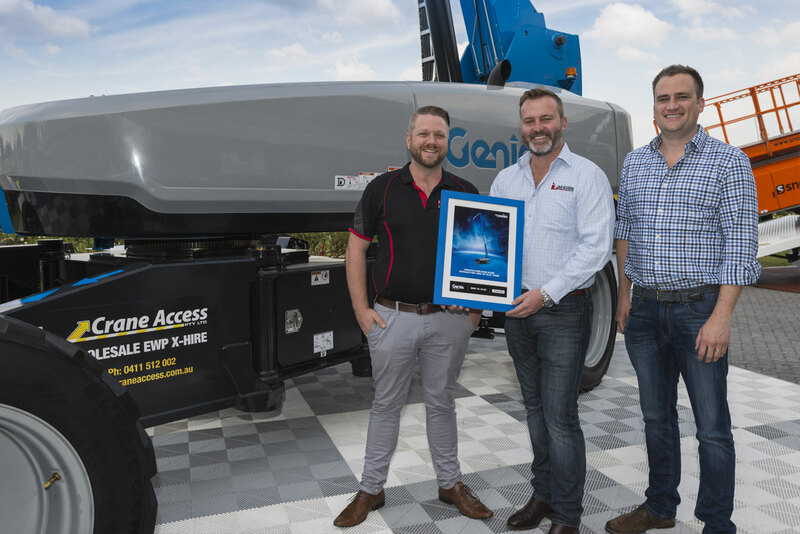 Genie also won Best Exhibition Stand (Over 36 square metres) at HIRE 17, while Brad Lawrence, Genie General Manager Australia, Terex AWP, presented the Life Member Award to Barry Martin, formerly of Belmont Hire WA at the Gala Awards Dinner. 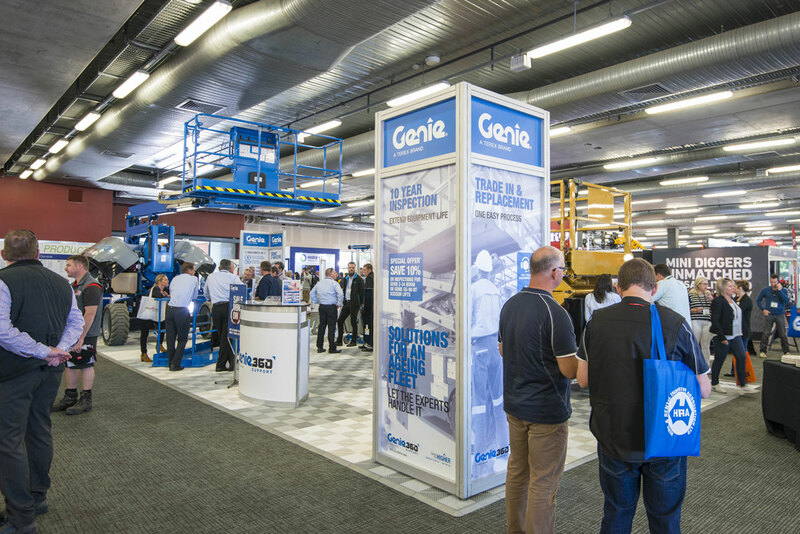 “We see hybrid technology as the future for the elevating work platform industry with these products providing better utilisation through their ability to operate in rough terrain or clean slab environments, and improved maintenance cost through better engine and battery maintenance lifecycles leading to better financial performance for your business,” said Ely. 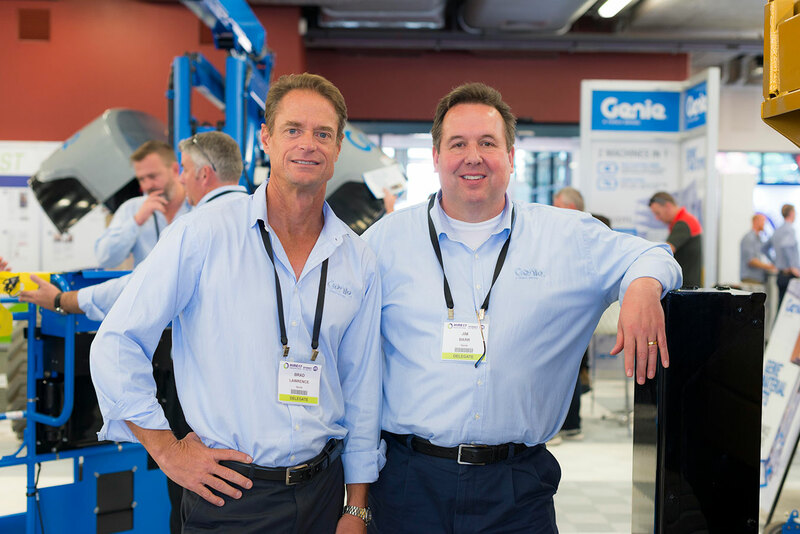 Jim Barr, who presented at HIRE17, and at the customer appreciation night, reaffirmed the rental industry will always point Genie towards its “true north”. “The rental industry shows us where we need to drive our innovation and more importantly, I’d like to restate we are listening,” said Barr. Likewise, the residual value of a Genie machine should never be understated, according to Barr. “We have a common saying in the United States that the proof is in the pudding,” he said. 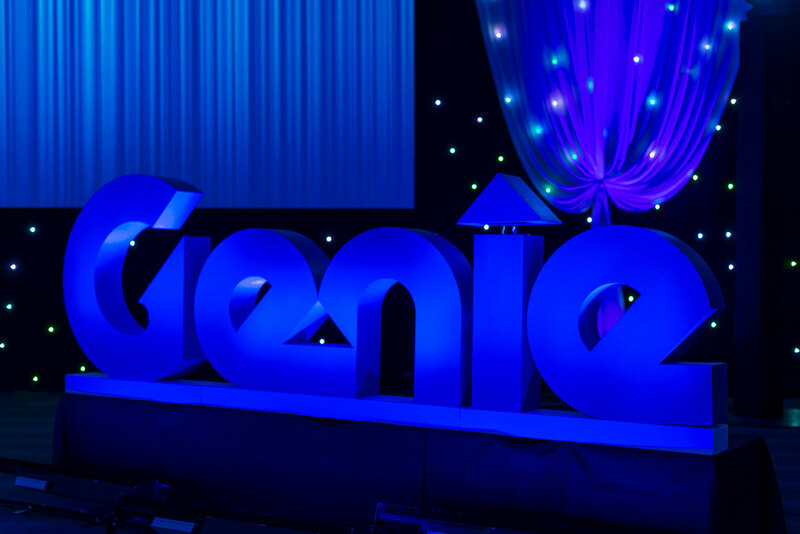 “In other words, the sum of all the technology and innovation which goes into a Genie unit will one day be proven by its residual value. 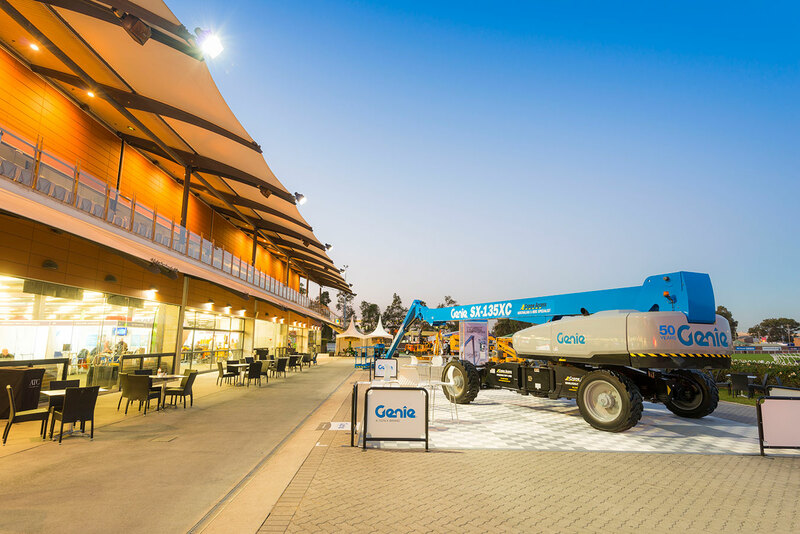 The Annual Genie Customer Night, held at The Red Box, in Lilyfield in Sydney’s west, featured the launch of the mighty Genie SX-135 XC boom lift. 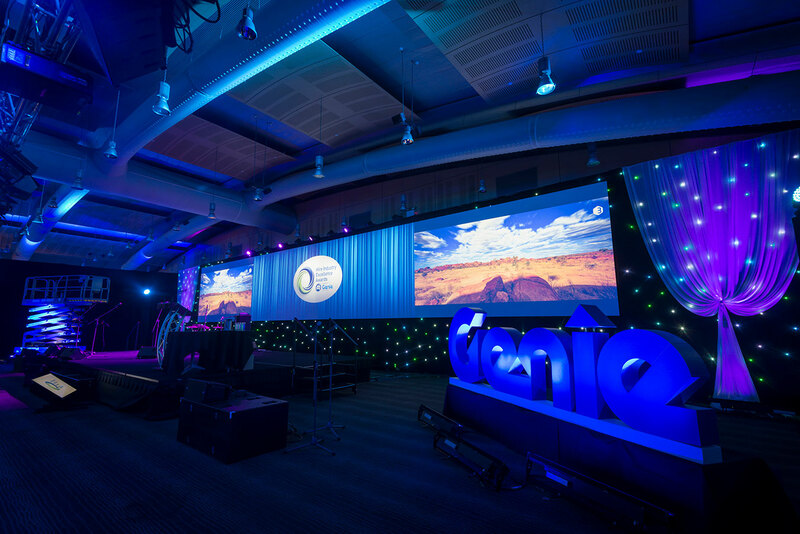 More than 200 Genie customers danced to one of Australia’s favourite rock bands and the event once again ran in parallel with HIRE17, the HRIA’s annual convention.